June 2017 - Perry Hood Properties, Inc. When it comes to American traditions, enjoying a meal in the great outdoors of your own backyard is right up there with apple pie and baseball. Fresh air can often be the secret ingredient that really pulls a meal together. 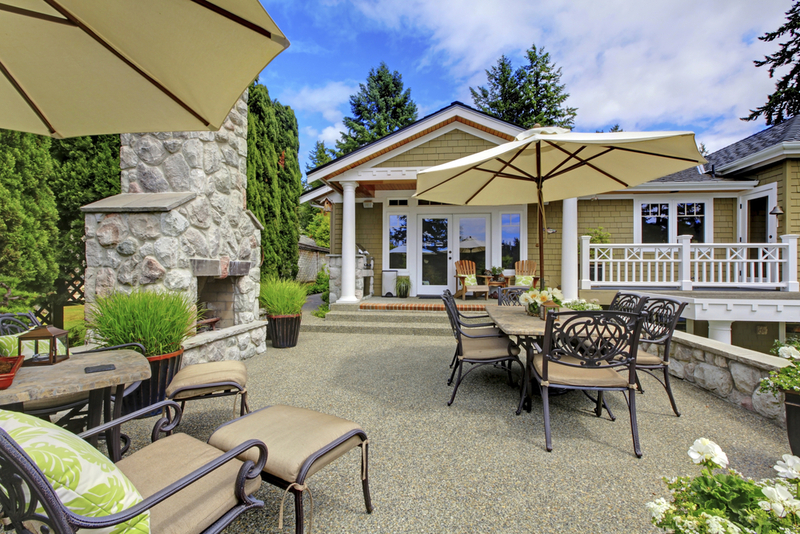 Unfortunately, setting up a patio for optimal enjoyment isn’t always easy, or affordable. To point you in the right direction and pinch a few pennies, we made this handy list. Use Perennials– One way to stretch your budget and add some colorful touches is to plant lots of perennials in pots and spread them across the patio. These are typically low maintenance, and will come back every year. Double Down– When shopping for furniture, look for pieces that have double functions. Ottomans that double as storage or chairs that can be used at the dinner table and the fire pit are both good examples. Big Rugs Make a Big Difference– Using a rug for outdoor decor might sound like something only broke college students do, but, when done correctly, a big outdoor rug can transform a patio. You’ll want to make sure to buy a rug that is intended for outdoor use so it can hold up to the elements. Big is Better– Speaking of buying big, this concept also applies to furniture. Instead of buying lots of little furniture, invest in a few large pieces of furniture. This makes the space feel less disorderly, and can make your budget go further. Timing is Everything– Right after the 4th of July is typically the best time of year to buy patio furniture. If you try to buy in March when it first starts to get warm, prices will be fairly high. However, a post Independence Day sale is almost a guarantee. Making your patio a second dining room in the summer lets you enjoy your home so much more, and it can really increase the property value when it comes time to sell! Summers are prime time for family getaways… and home robberies. Anytime houses are likely to be empty, crooks are licking their chops. That’s why it’s important to follow some basic home security guidelines when taking a summer vacation. Just because you’re not home doesn’t mean it should look like you’re not home. There are a few tricks you can use to make it look like you never left the front step, even if you’re hundreds of miles away. Get someone to mow your lawn so it doesn’t get overgrown and tip off the bad guys that no one is home. An overflowing mailbox is one of the most obvious signs of an empty nest. Before you skip town, stop by the post office to stop your mail until you get home. It only takes a few minutes, so you can even do it as you’re leaving town. If you have an alarm system, make sure the yard sign is displayed loud and proud. This is one of the best signals to burglars that this house isn’t one they want to mess with. You can also get some dummy security cameras if you want to really step up your security appearance. 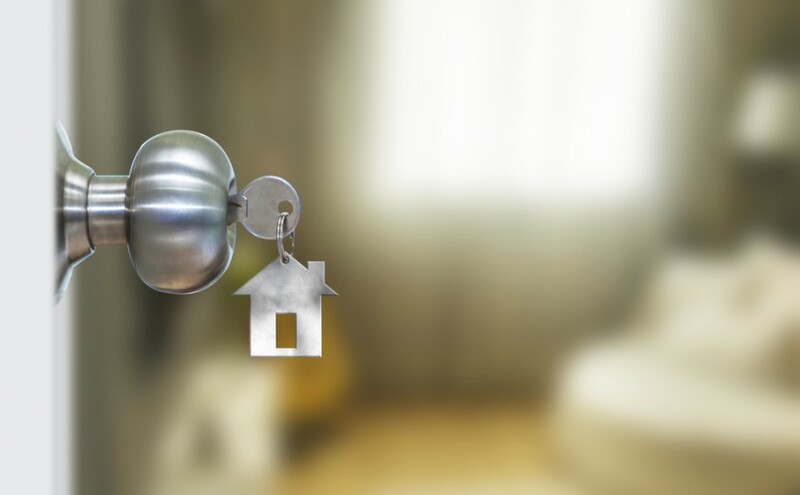 Most homeowners keep a spare key hidden in the mailbox or under a flowerpot. This is a great failsafe if you get locked out of the house, but that’s not too likely to happen while you’re away. Wherever your secret key may be hidden, go ahead and bring it inside the house where it can’t be used against you. Speaking of spare keys, it’s not a bad idea to give one to a friend you trust so they can get into your house in case of an emergency. You might also ask them to swing by the house a few times to keep an eye on the place. 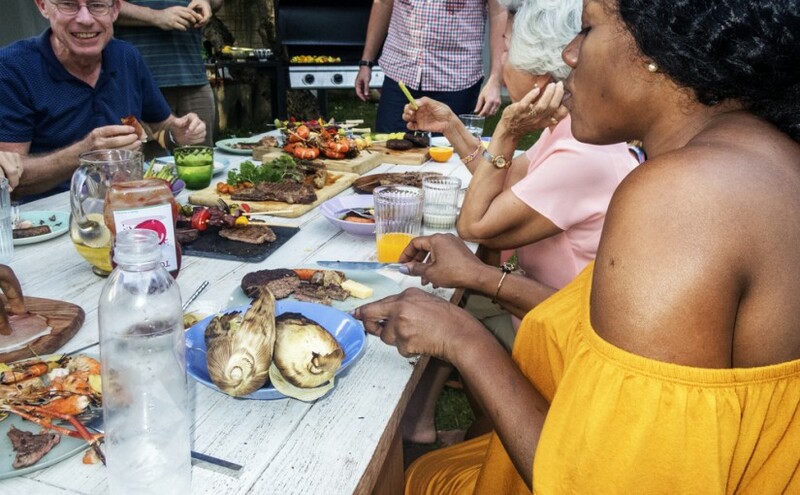 With 4th of July just around the corner and plenty of other good reasons to throw a backyard bash this summer, it’s the perfect time to start planning your next outdoor shindig. Making all the necessary arrangements can get stressful and expensive if you’re not careful. To help eliminate those two problems, here’s a list of tips you can use to host the best party without breaking the bank. Instead of spending all that time and money buying and making food, throw a pot luck party and have your guest bring their favorite dish. All you have to do is make the main dish, and ask your friends to cover the sides and desserts. Most people will take any excuse to show off their “world famous” potato salad or apple pie, so don’t feel guilty asking for a little help. It’s 2017 and there’s no need to waste money on fancy invitations and postage. Creating a Facebook event is one easy way to bypass the post office. This allows you to put all the necessary information in one place, invite your guests, and even have a discussion if anyone as any questions. One of the most expensive parts of throwing the party is getting all the decorations. If this is your first time hosting such a gathering, this expense can add up quick. Thankfully, there are plenty of ways to do some cheap DIY decorating. From spray painting metal folding chairs to cinderblock seating you can make in minutes, pretty décor doesn’t have to cost a pretty penny. If you’re looking for some cheap entertainment options, games will be your answer. Everyone loves a good game, especially if kids are on the guest list, and there are tons of games you can buy or make for little to no cost. Nothing ruins a backyard party faster than everyone getting eaten alive by mosquitos. However, with a few simple fixes you can keep the blood suckers at bay. Planting lemongrass, wine bottle citronella candles, and burning some pinion wood are all huge turn-offs for mosquitoes. 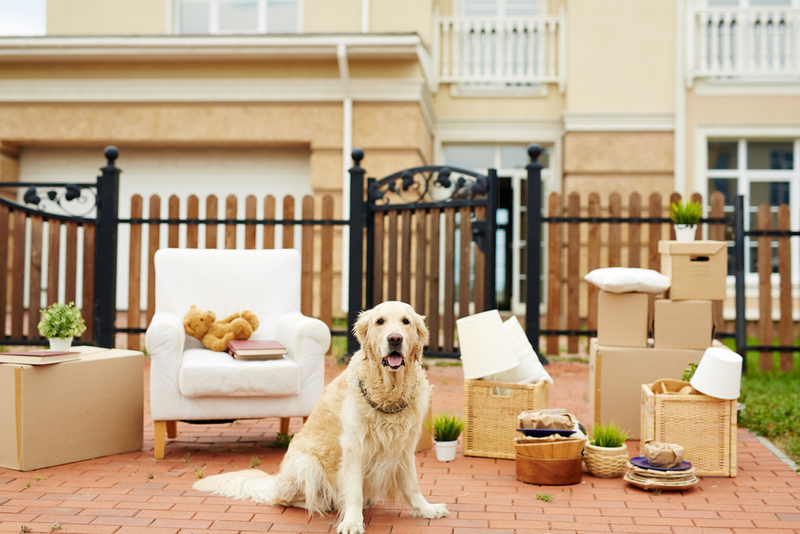 Moving to a new home can be stressful for the whole family, and that includes family members with four legs. While we’re adjusting to the new commute and neighbors, they’ll be adjusting to new smells and sights they’ve probably never experienced before. Obviously, you can’t sit your pet down and explain the moving process, but you can take some steps to prepare them for the move. Before you actually move in, take your pooch on a walk around the new stomping grounds. Take notice of how other pets in the neighborhood act when you walk by. Are they barking and aggressive or more playful? Check for any new plants that might be upsetting or confusing to your dog and let them acquaint themselves with new smells. If you have an outdoor cat, see if you can spot any other cats on the prowl to see if they’re friendly or feisty. Pets can pick up our emotions and tend to copy how we’re feeling. So if you’re calm, they’ll be calm. If you’re especially concerned about your pet freaking out during the move, you might put them in a closed room with some water and toys. Another way to keep the peace is to stick to your normal schedule as much as possible. Move days are always hectic, but try to feed and walk pets around the same time you normally would. Once you’re all moved in, keep an eye on how your pet is adjusting. Pay close attention if you changed time zones or climates, as both can be hard for pets to acclimate to. Getting back to your normal schedule as soon as possible will make adapting easier, so do your best to return to your regular agenda. 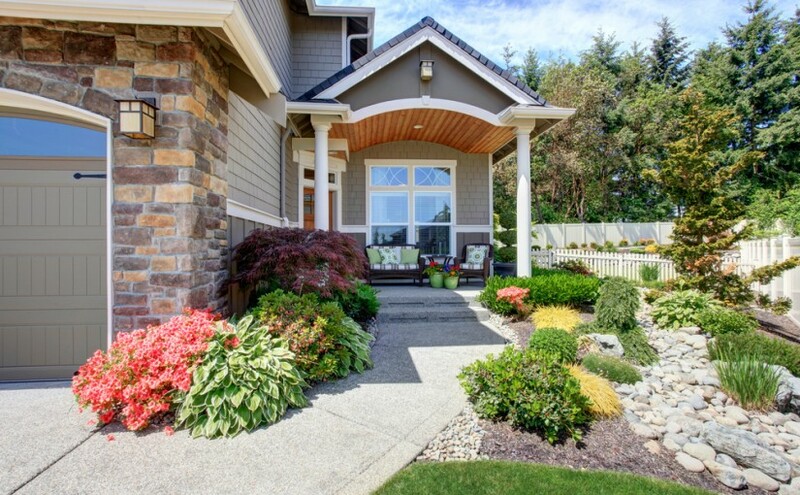 The curb appeal of your home will make the first impression on anyone who drives by or comes for a visit. This is a critical feature to consider when selling a home, but it’s also worth considering as an ongoing home improvement project to consistently upgrade the value of your home. To whip your curb appeal into shape, you can use these five tricks. Make a Runway– Some homes won’t be set up for this, but if you have a decently long sidewalk leading to your front door, that’s something you’ll want to highlight. Planting shrubs is always a good option for this, but an even better option is hydrangeas. Going for pink or blue hydrangeas will create an incredibly inviting and picturesque runway to your front door. Don’t Forget the Basics– A new wreath and doormat can go a long way, so don’t neglect to take care of these basic curb appeal essentials. Having this combination is probably one of the quickest, cheapest, and easiest ways to boost curb appeal. Mulch is Your Friend– Speaking of quick, cheap, and easy ways to boost curb appeal, make a run to the garden center and grab a few bags of mulch. For $2 to $3 a bag you’ll be amazed at how much mulch will improve curb appeal. Just spread a one-inch layer in all your flower beds and it’s almost guaranteed to look like you paid big bucks for professional landscaping. Get Your Thumb Green– Sprucing up the flower beds is an old standby when it comes to curb appeal, but you don’t have to spend tons of time and money revamping every flowerbed in your front yard to improve curb appeal. If you want to take a shortcut, opt for some potted plants on either side of the front door. Make sure to use colorful plants, and pony up for the nicer ceramic pots instead of the cheap plastic one. Give the Door a Facelift– A fresh coat of paint and a little polish on the knob and knocker will make the front door much more inviting. Painting the front door can be a little tricky, so make sure you have a game plan before you pop off the hinges. Curb appeal is a great way to improve the value of your home, so be creative and post any tips you think are worth sharing.